The Lynchburg Hillcats were shut out for the 14th time this season on Thursday, falling to the Wilmington Blue Rocks, 5-0. Lynchburg (67-65, 38-27) finished their season series with Wilmington (66-69, 35-30) by going 10-17. The Hillcats remain three games up for a playoff spot over the Blue Rocks with five games remaining in the regular season. Wilmington opened the scoring in the second inning. Emmanuel Rivera singled and Meibrys Viloria walked to put two runners on. After a double steal, Vance Vizcaino lined a two-run single to right field to give the ‘Rocks a 2-0 lead. The game stayed that way until the top of the eighth inning. Vilora and Travis Jones singled, while Angelo Castellano was intentionally walked to load the bases. Rudy Martin hit a flair into shallow left field, and the ball dropped for a three-run double after Mitch Longo and Tyler Friis collided in the outfield, pushing Wilmington’s lead to 5-0. The Hillcats mustered just four hits on the night and went 0-for-4 with runners in scoring position, stranding eight on base. Gerson Garabito (Win, 8-6) fired 6.1 scoreless innings for Wilmington, allowing just four hits while striking out seven. Justin Camp and Tyler Zuber combined for 2.2 scoreless innings. Anderson Polanco (Loss, 2-2) gave up two earned runs on three hits in 4.2 frames, striking out six. Adam Scott, who was drafted by the Indians in the fourth round of this year’s MLB draft, made his A-Adv. debut, firing two scoreless innings. Kyle Nelson surrendered the three-run double in the eighth. The Hillcats have finished the home portion of their regular season schedule, and will head to Salem for a five-game series to round out regular season play. Right-hander Justin Garza (4-6, 4.00) will start for Lynchburg, opposite of righty Jake Thompson (5-12, 4.98) for Salem. First pitch is scheduled for 7:05 p.m. at Haley Toyota Field. Max Gun and Matt Present get you set with pregame coverage beginning at 6:55 p.m. on TuneIn Radio and Radio434. 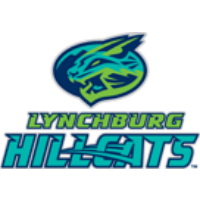 The Hillcats are in line to host post-season games against the Potomac Nationals on September 5 and 6 at City Stadium. Fans can purchase $2 tickets, and also receive $2 hot dogs and $2 beers at the game. For tickets and more information visit lychburg-hillcats.com, the City Stadium box office, or call 434-528-1144.